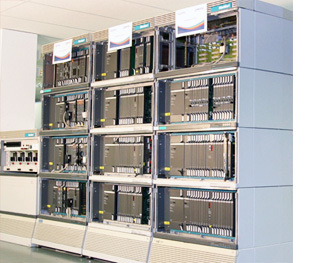 Comtek repairs and tests the complete range of Nortel telecom products including Switching, Wireline, Wireless, Enterprise and Optical. Our highly skilled Nortel telecom engineers are all former Nortel company employees and our knowledge of Nortel products is unsurpassed in the repair industry. Comtek’s Nortel repair engineering team are available for consulting and trouble shooting. Our experience includes all aspects of infrastructure design, installation, configuration, commissioning and testing of hardware and software for all Nortel product lines. Our continuous investment in training and the latest test and repair equipment ensures that our repair services are the best in the industry. To add to our already existing Nortel state of the art facilities at Deeside, Comtek have recently established a Nortel Optical ‘Centre of Excellence’ which has been operating from early 2013 at its new Belfast Centre. Starting with the TN1X, TN4XE and TN16XE range, the plan is to move quickly and progressively to the repair and testing of the complete range of Nortel Optical products. Belfast, with it’s availability of highly skilled ex-Nortel engineers will specialise in the higher end more complex equipment repairing and testing OM5200, OME6500, TN64, HDX and LH1600. These products are amongst the most complex ever produced by Nortel and provide the optical backbone for many of today’s telecommunications service providers.